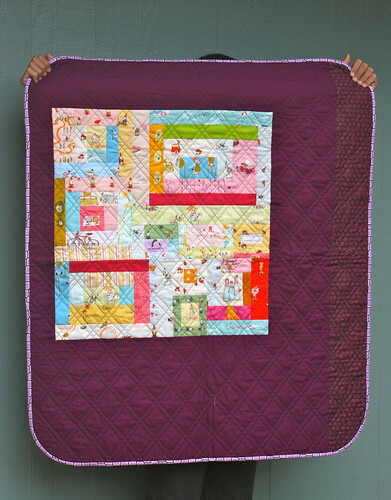 Featuring Amber — A Bloggers’ Quilt Festival Quilter! 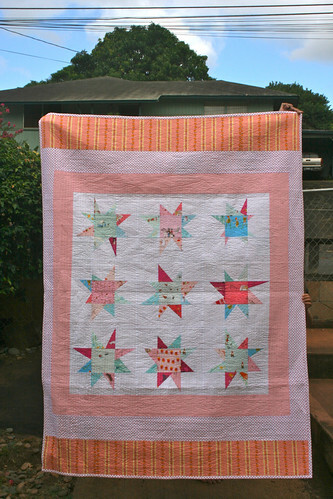 Today’s featured quilter is Amber from One Shaby Chick! Amber has been a friend since we were in a quilting bee together, and I always admire her quilts and other fun projects. 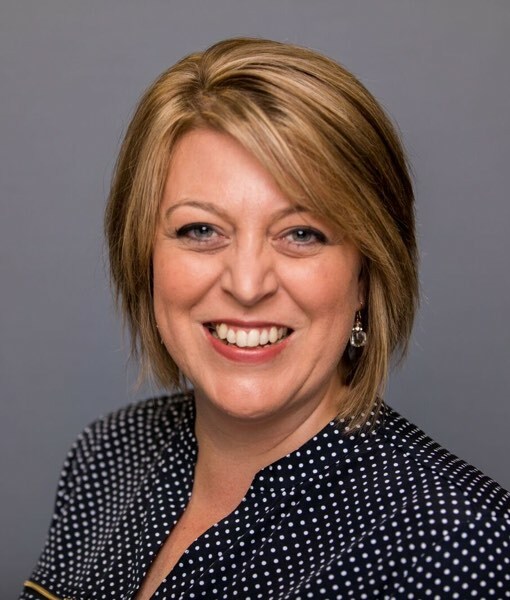 I hope you enjoy getting to know Amber better! 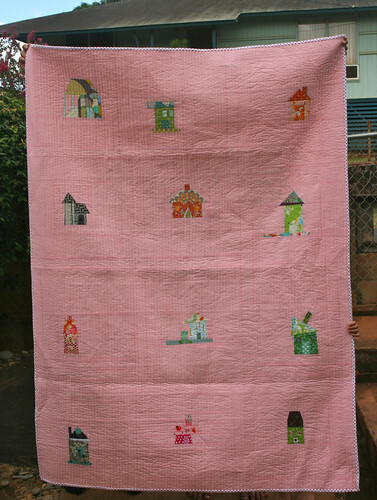 Let’s see…..I made my first “quilt” about 13 years ago for my mom. It was a Mother’s Day gift and I think I gave myself a week to make it – lol! I bought a sewing machine, took it over to a friend’s house where she showed me how to use it and off I went. It’s pretty much a disaster as far as real quilting goes. I cut out pieces using scissors, I had no idea what binding was, I have no idea what size seam allowance I used…you get the picture. But that first started me on the road to quilting. Then about 6 years ago, I discovered the online world of quilting/sewing blogs and have been in love with fabric and quilting ever since. I quilt because I love it. I love fabric, love sewing different pieces together and creating something fun and useful…and I absolutely love the online friends I have made through quilting – I think that’s the best part of all…meeting people with similar likes and hobbies from all over the world and being able to connect with them daily. 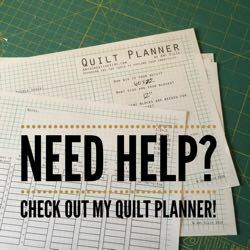 My favorite quilting tip? Having a little stash is nice so you can just grab things and create without having to wait for an order to come in the mail. And I love having my sewing area always set-up (it takes up half our bedroom but Hubby doesn’t mind). That way whenever I feel like sewing, I can just go in and sew. 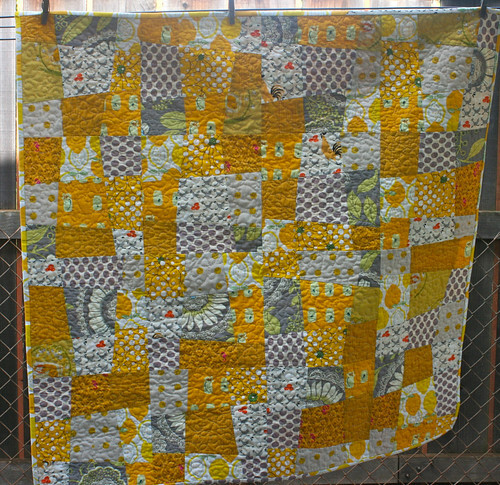 This quilt is actually blocks from two different quilting bees I was in – A Notion or Two and the Block Swap. Originally I was going to make two different quilts out of them but I realized they were both the right size to join together, and so now they are one quilt. It’s now on my younger daughter’s bed and she uses it every night. 6. Anything else you want us to know about you? I’m a huge soccer fan – I play and I love to watch it. And even though I live in Hawaii, I can’t remember the last time I went to the beach (gasp!!). That’s almost a crime Amber! But I do understand – I went to school 10 minutes away from Newport Beach, and was happy if I made it there twice a semester – Life happens! I have found that I love stashing and storing fabric too – when inspiration strikes I can quickly pull fabrics and get to work, before I forget what I had in mind. Thanks for sharing Amber! It’s always nice to get to know a bit more about the bloggers I read daily. I had to laugh at the not going to the beach thing though, I live in a beach town too and almost never go to the beach! LOL For those of us that long to be at the beach, y’all are a hoot! 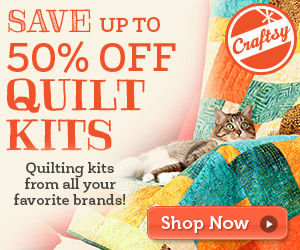 Thanks for a great interview – Amber, your quilts are lovely! It’s nice to get to know you a bit Amber! I’m going to check out your blog, your quilts are just lovely and I’m sure there’s more where that came from! I too live in a beach town, but we try to get down to the water as much as possible. We’re not in a tropical location though, so unless it’s summer we usually have to bundle up to go to the beach but we love it! Oh yes, Amber might possibly be my favorite quilter. I LOVE everything she puts together! i love amber! she is the best! Thanks Amy…..I’m writing this from Costa Rica as we are on vacation here visiting my hubby’s family. I feel so lucky to have found something I love to do and share it with everyone.